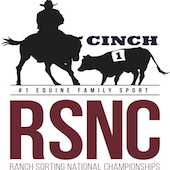 Don’t miss out on this exciting opportunity to learn more about the sport of Ranch Sorting! Half a day of classes and a Western Heritage class competition. If you’ve never tried our newest sorting class, come and give it a go. You’ll be sure to love it! December 9th at the Cowboy Fellowship Arena in Jourdanton, TX. Click here for a pre-registration form. No Replies to "Ranch Sorting Clinic & Western Heritage competition"